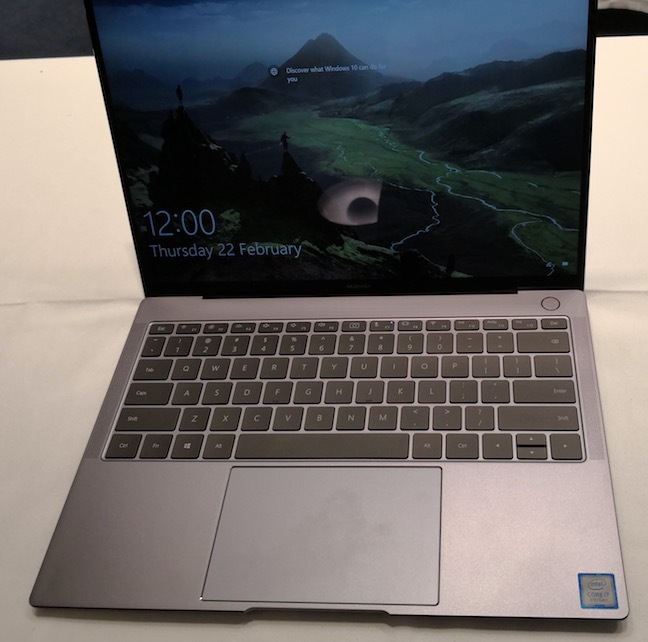 Hands On Huawei won't unveil its new P20 flagship phone until the end of March, so it used MWC to showcase an envy-inducing laptop, the Matebook X. 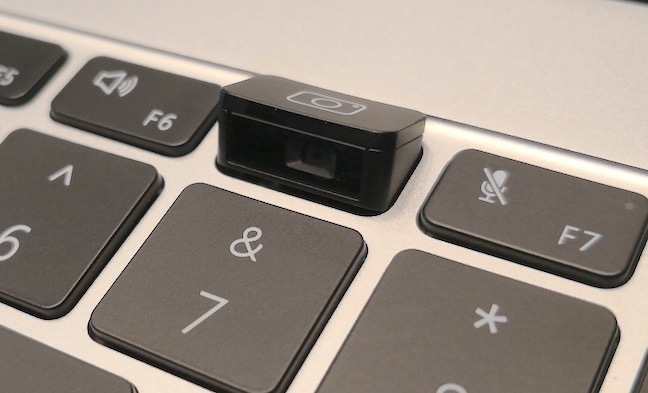 The Chinese giant is clearly gunning for Apple, which has irked its core customer base by adding gimmicks, removing ports and messing with the keyboard. So are Microsoft (Surface Laptop) and Dell (XPS13). But from our Hands On, Huawei comes as close as anyone. How come? The sleek dark all-aluminium design – where did it get that idea? – packs a 13.9 inch diagonal, 3K touch Gorilla Glass display (with very wide viewing angles) into the footprint of a 12-inch display laptop. It has achieved this by almost entirely removing the bezels. The bezels are so thin you don't notice them. 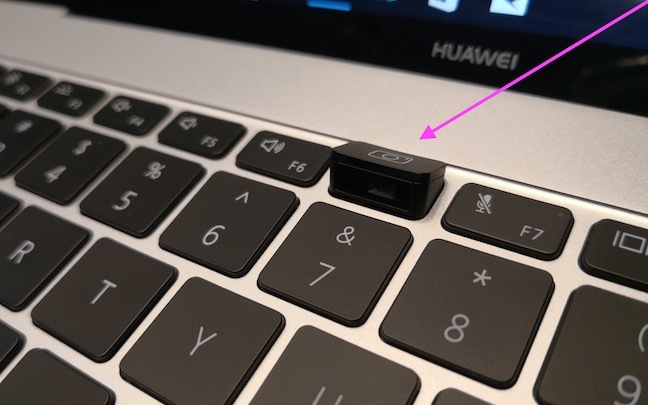 Huawei has also moved the user-facing webcam camera from its traditional laptop position above the display into a clever popup on the keyboard. See the photos for more details. Huawei told The Reg this not only allowed it to remove the bezel, but should allay users' concerns about being spied on. Even Mark Zuckerberg tapes over his webcam. The display certainly holds its own again the latest Surface: 1500:1 contrast ratio, 450 nits of brightness, and a 178˚ viewing angle. It's a mere 14mm at its thickest – barely wider than an audio jack, as you can see, and weighs 1.33kg. 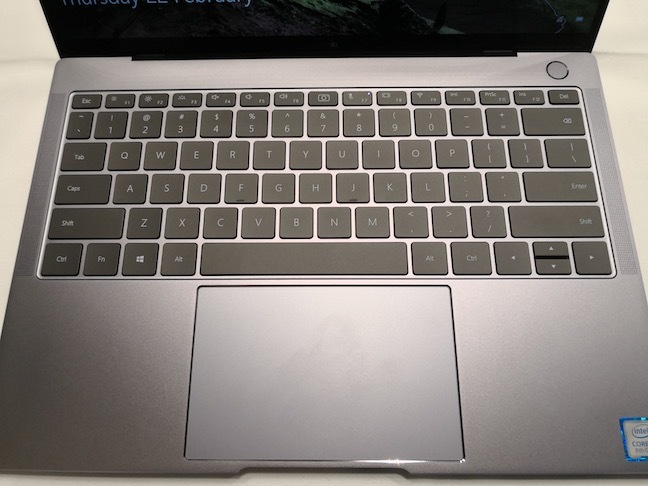 Although two USB-C and one traditional USB-A port. One of the Cs supports TB 3.0. The battery capacity is 41.4Whr (5,449mAh at 7.6V), Huawei claims six hours of usage from 30 minutes charge. The charger supports various wattages so your other devices can fast charge too. Huawei embeds a fingerprint sensor in the power button, and this logs you in. The company reckons you'll go from cold to a functioning Windows 10 desktop in 7.8 seconds. Huawei used a more powerful Kaby Lake R Intel Core M processor rather than a parsimonious U part, because it reckons its battery and power technology is sufficiently superior to anything else on the market. The model I saw under embargo last week boasted an i7 8550U CPU at 1.8GHz. Don't be fooled by the U, it's really an R. Because Intel. It's fairly cruft-free, with only the one Huawei management program prominent (this has its own key too). But this looks thorough and well thought out. The rest of the cruft is Microsoft's: the usual garbage of discarded kids' toys emptied over your desk. I thought the contrast between that and the professionalism of the hardware was particularly jarring. It's Huawei's third generation laptop, coming less than a year after its second tilt at the market. But it's the first to really be able to claim it's a contender.